The post DJ Peshay – Soul in Motion 18 April 2019 appeared first on BPM Agency. The post MC Foxy Exclusively Joins BPM Artists appeared first on BPM Agency. The post Peshay Exclusively Joins BPM appeared first on BPM Agency. Winner of Best MC Award and pivotal Drum and Bass figurehead MC Foxy has exclusively joined BPM Artist Management Agency. MC Foxy is a without doubt a legendary name in the drum and bass scene. Foxy is loved and famed worldwide for his lyrical style and mic personality. Best described as a game changer, he has a distinctive unique flow and style. He is equally able to spitfire serious lyrical content and also host & hype with the very best. Foxy is an MC who instinctively reads the atmosphere and knows how to cultivate and respond accordingly. 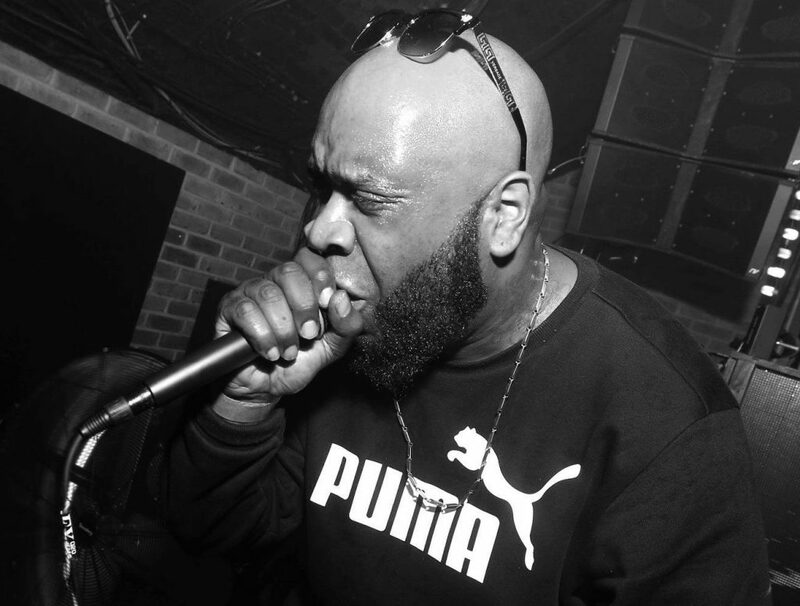 Emerging through the famed Blackmarket camp, he honed his skills on the road with Nicky Blackmarket and the late Stevie Hyper D. Travelling up and down the UK with Nicky and Stevie, he fine tuned his skills by learning from the very best. They were spearheading the then new sound of Drum and Bass and he very quickly rose to the challenge. Born in Croyden, London Foxy’s main influences at an early age were very close to home. Seeing his cousins Thunder Banton and Rodney P performing at early gigs left an indelible imprint on him. These early performances from close family members coupled with a diverse cultural background in music hugely influenced his early development. Having originally joined Kool FM back in the early rave days, Eastman the owner of Kool quickly recognised Foxy’s talents. This lead to Foxy receiving his first official booking at the infamous Kool FM 3rd Birthday Party at London Astoria. From that minute things went into overdrive. It was quickly apparent to everyone who heard Foxy that he was a stand out talent. The bookings started coming in from all over the UK and he quickly went on to appear at all the major raves of the day; Dreamscape, Helter Skelter, One Nation, Accelerated Culture, Desire and Pure Science to name a few. MC Foxy was then capapulted directly into the stratosphere. He became the voice and flow of the MC’s breaking through at that time and he started taking bookings from all over the globe. Appearing in Canada, Brasil, America, Poland, Austrailia, Russia, Finland, Germany, Belgium, Japan and Serbia to name a few. He has appeared at all the major clubs and festivals the world over. From Adelaide to Atlanta Foxy’s seen every part of the scene repping the UK sound hard from the front line. Respected highly by his peers, MC Foxy has also been busy creating in the studio as well as touring over the years with such notable acts as TC, Distorted Minds, New Breed and Danny Byrd. 2019 sees Foxy back to his very best. He is right back at the top of his game and has many projects in the pipeline. You can catch him appearing at MC Skibadee’s 25 Years Celebration at Fabric London and Studio 338 also in London as part of the Kings of the Rollers Tour.